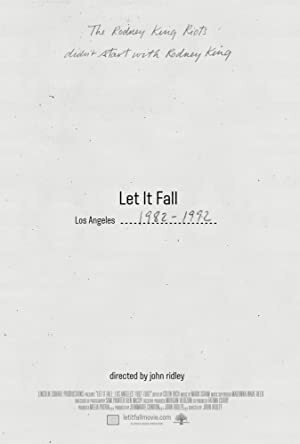 Let It Fall: Los Angeles 1982-1992 (2017) – What's New on Netflix Canada Today! An in-depth look at the culture of Los Angeles in the ten years leading up to the 1992 uprising that erupted after the verdict of police officers cleared of beating Rodney King. This documentary chronicles simmering tension and broken trust between L.A.’s black community and police in the decade before the Rodney King riots.